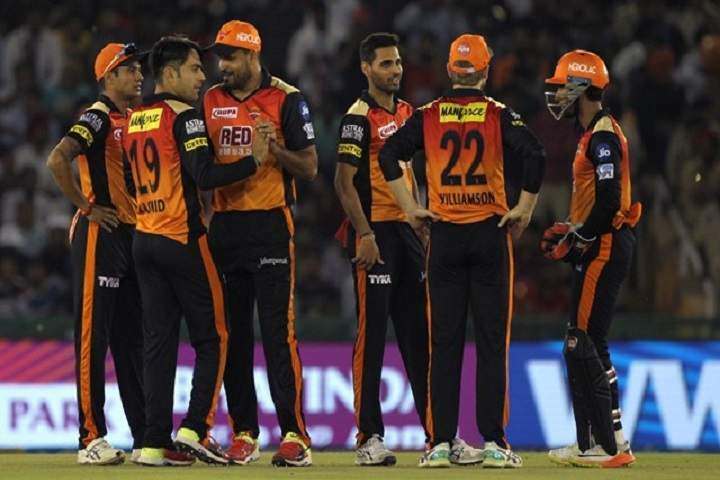 Sunrisers Hyderabad, a team that has heavily been depended on their bowling with a few explosive batsmen up the order, has been the team to watch out for over the years. With the tag of Dark Horses, SRH has been able to surprise many with their gutsy performances. The two-time champions (one as Deccan Chargers), though will have to answer a few questions before the mega event. Things have been changed a lot for SRH this time around. Shikhar Dhawan who has been one of their biggest strengths and used to be a partner in destruction with David Warner cuts the ties with long served SRH and will now play for his old come new franchise Delhi Capitals. But on the other note, David Warner's return will boost their confidence who didn't play last year due to ban. However, SRH didn't miss Warner much last year and without him, they managed to make it to the final under the new captain Kane Williamson. They lost in the final to Chennai Super Kings but would be satisfied with their effort. This time SRH also rooped in Vijay Shankar who was impressive against Australia in recently concluded 5-match ODI series. 1. David Warner (Batsman) - One of IPL's best players, David Warner must be eager to bat again in this tournament after missing out in the last year. Without a doubt, Warner has been SRH's biggest strength and under him, SRH won the title in 2016 and he was the second highest run-getter with 848 runs 17 innings. He though missed the entire last season due to ban in ugly Newlands ball-tampering scandal. He is supposed to come hard and will be a player to watch out for this year. 2. Manish Pandey (Batsman) - Manish Pandey had a decent season last year but he has been very successful for Kolkata Knight Riders before joining to SRH. He has the ability to play big shots and at the same time a strong middle order batsman who can provide solidity. He has an edge of ex-factor of his fielding as he is one of the best fielders in world cricket today. He can be the player for SRH this time. 3. Vijay Shankar (Batting All-Rounder) - A high-quality batsman who can bowl, Vijay Shankar was impressive last year for Delhi Capitals (Delhi Daredevils). Since the Nidahas Trophy failure, Vijay Shankar never looked an ordinary player and has impressed everyone with his shot-making ability and that makes him a player to watch out for in this season. 4. Shakib Al Hasan (All-Rounder) - Shakib Al Hasan is a genuine all-rounder and arguably the greatest player Bangladesh has ever produced. After making his IPL debut in 2011 for KKR, Shakib Al Hasan has had a wonderful journey of this tournament. Last year he was impressed with both bat and ball and looking to same kind of run this year as well. 5. Siddarth Kaul (Bowler) - In SRH's nearly perfect campaign last year, Siddarth Kaul played a big role in the absence of Bhuvneshwar Kumar and was the joint second highest wicket-taker of the tournament. He was quite brilliant with his death bowling. He would like to continue the same kind of form in this year Indian Premier League as well.